With cloud the storage possibilities are virtually unlimited. CloudBeats gives you an instant access to your music library in the cloud and frees up such valuable space on device for photos, videos and apps. With support of the most popular cloud services CloudBeats allows to pick one or multiple services and stream audio from the cloud. No more iTunes synchronization, your audio files get uploaded to the cloud from PC or Mac just like other files. Supported services: Dropbox, Google Drive, Box, OneDrive, OneDrive for Business, Amazon Cloud Drive, Mediafire, My Cloud Home devices by Western Digital, ownCloud, NextCloud, pCloud and HiDrive. 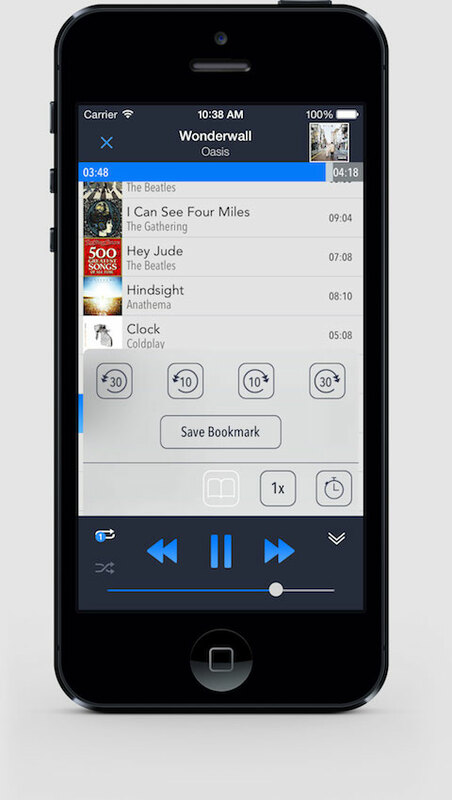 Offline mode allows you to download your favorite albums and playlists for offline playback and listen to music, even when you aren’t connected to the internet. Choose among three iOS apps and one Android.